The smallest Audi in the US market continues to get more interesting. Audi has just announced that a TDI sportback will be joining the A3 Sedan, Cabrio, e-tron and eventually S3. 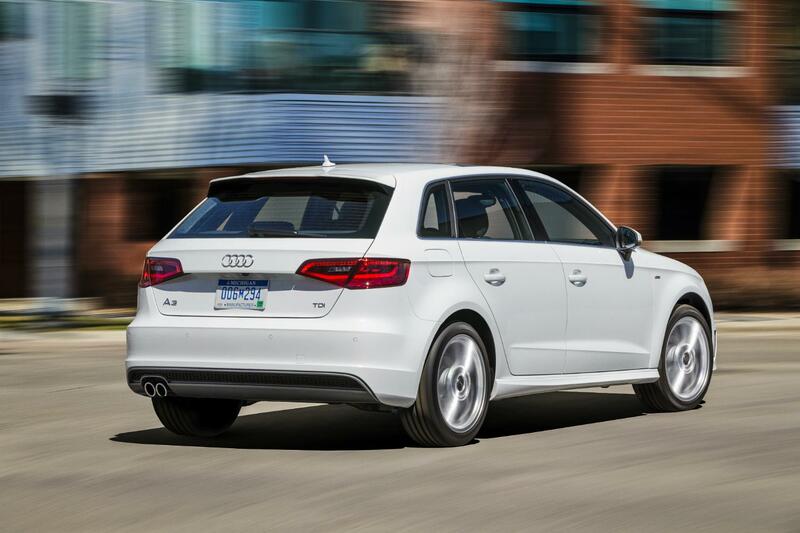 The A3 family now includes more combinations of bodystyle and powertrain than some entire car companies. The new five-door TDI will feature Audi’s 2.0-liter turbocharged diesel engine, that boasts 150 horsepower and Audi’s excellent six-speed S tronic transmission. Unfortunately Audi can’t tell us yet what kind of mileage the A3 TDI will have, but it will no doubt be less than the 73 highway mpg that the 1.6-liter TDI the European market gets. That may be too bad, but the A3 TDI has the potential to fill a void in the American market: a drivers’ car that won’t break the bank or be hard to explain to your spouse. We already know that the new A3 platform is dynamite to drive, and while the diesel motor is going to add some weight and reduce some fun, it still promises to be good to drive. While Audi can’t release mileage until it has completed testing for the EPA cycle we might be able to get some idea of the end results by looking at the A3’s stablemate the Jetta TDI. The Jetta uses the same modular platform and the same 2.0-liter engine and it is good for 30 city and 42 highway, and a real-world average of around 38 mpg. If the A3 gets similar mileage it should be comparable to a hybrid, but way more fun. Audi hasn’t announced a release date yet, but the TDI may be along sooner rather than later in the A3 family’s 18 month rollout. When it does get in, the A3 should offer a configuration for just about every conceivable buyer (I am holding out for the S3), which I am pretty sure is what Audi had in mind.